Exactly two years ago I returned from where I am currently headed. I’ll deport from O’Hare airport in Chicago around 9:30 tonight and land in Warsaw some nine hours later in which I will suffer through a 21 hour layover. Despite this I am still somewhat eager to arrive at my final destination of Serbia this coming Wednesday. Having already visited this important Balkan nation, I will not be arriving with the same feeling of trepidation which I had mildly experienced on my previous visit. One might ask why one should exhibit any amount of hesitation when visiting a western, European (not Western European!) nation considering I am an American. However, this assumption ignores the impact of American politics on American citizens traveling and living abroad. While this post is not designed to be a history lesson, Serbs do have reason to dislike Americans. 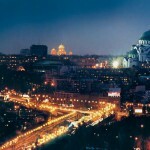 Belgrade at night with the Temple of St. Sava in the distance. Thankfully, this is not something which I had experienced during my four week stay in Belgrade two years ago. 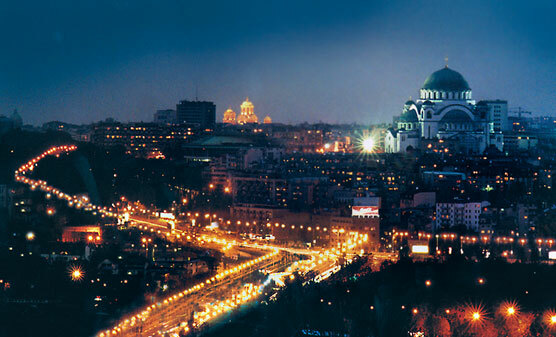 Belgrade is the capital of Serbia and with a population of about 1.5 million it is a cosmopolitan city home to many ethnicities hailing not only from throughout the Balkan peninsula but also from throughout the world. Serbia even enjoys a modestly sized American ex-pat community. Valjevo with the Temple of the Resurrection of the Lord. Unlike my last visit, this trip will not be spent in Belgrade. 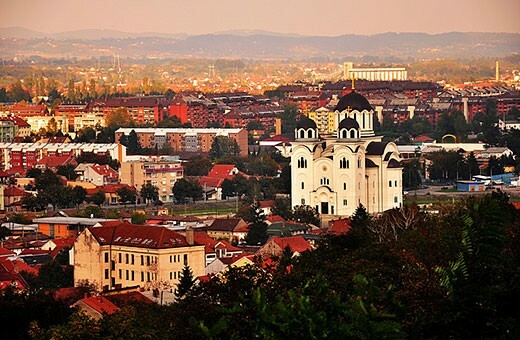 Instead I will be residing with a host family in the nearby city of Valjevo. 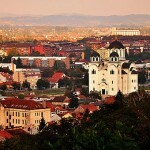 Valjevo is an average sized city with many attractive features which I plan to experience and share in the coming weeks. It’s most attractive feature to language learners might be its small town feel. Because it is a smaller town (pop. 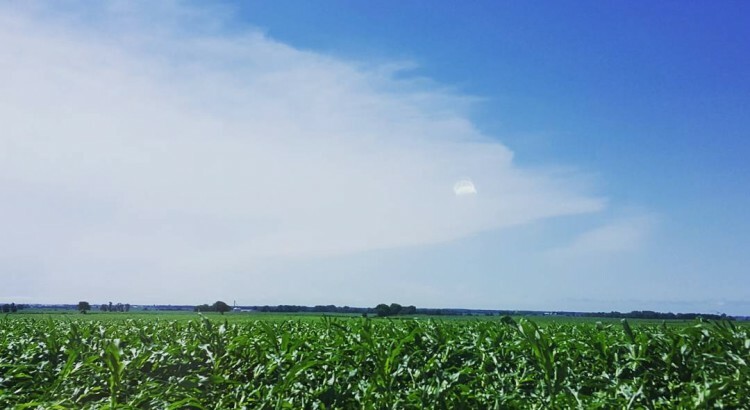 ~100,000) the residents are perhaps less likely to know English which should provide for an environment more conducive to language acquisition when compared to Belgrade with its many, many English speakers. At this point I would like to take the time to thank Miss Vekich for her generosity in establishing the Vekich Scholarship which is intended to encourage study in the Bosnian, Croatian, and Serbian languages. It is through this scholarship and the quality of all the great instructors (14!) which have suffered through the many awkward states of my language training that this trip is possible.